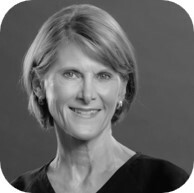 Trish has been practicing hygiene since graduating from Baylor College of Dentistry in 1978. She has enjoyed an exciting career working in a variety of settings ranging from the dental clinic at Children’s Medical Center in Dallas, to a private practice in Switzerland, to our office here in Kerrville. Trish and her husband, Dwayne, enjoy the outdoors and love hiking, camping, and traveling. They are regularly seen on the River Trail! They have two grown children: Ali, in her last year at Baylor Law School, and Nic, an engineer working in California. They also enjoy being active members of Notre Dame Catholic Church.